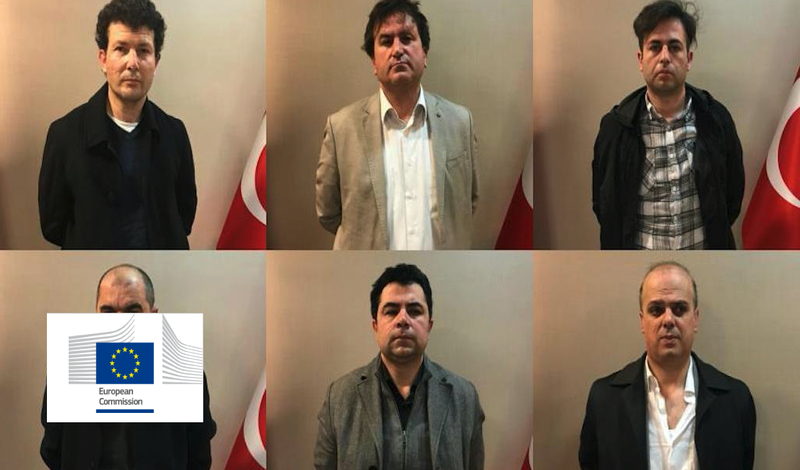 The arrest and subsequent deportation of six Turkish nationals legally residing in Kosovo raise questions about the respect of the due process of law,” said Maja Kocijancic, spokesperson for the European Commission told Kosovo-based Gazeta Express on Tuesday. “The rule of law is a fundamental principal of the European Union. In line with its determination to build a free and democratic future, and as also set out in the Stabilisation and Association Agreement with the European Union, all actions of the local Kosovo institutions are bound by the full respect for the rule of law and promotion of universal respect for and observance of human rights and fundamental freedoms. Arbitrary procedures concerning arrest, detention or exile go against these principles,” Kocijancic said in a written statement to Gazeta Express. US-based monitoring group Human Rights Watch (HRW) earlier said the arrest of Turkish nationals in Kosovo showed a callous disregard for human rights and rule of law. “In addition to the questionable arrests, the men were sent to a country where they face a serious risk of torture. The Kosovo President, Prime Minister and speaker of parliament, who claim no knowledge of the operation, should demand a thorough investigation and explain how this travesty took place,” HRW said.